Explore the sights of Tokyo with your own plan for 5, 8 or 10 hours, depending on the tour option that you choose. 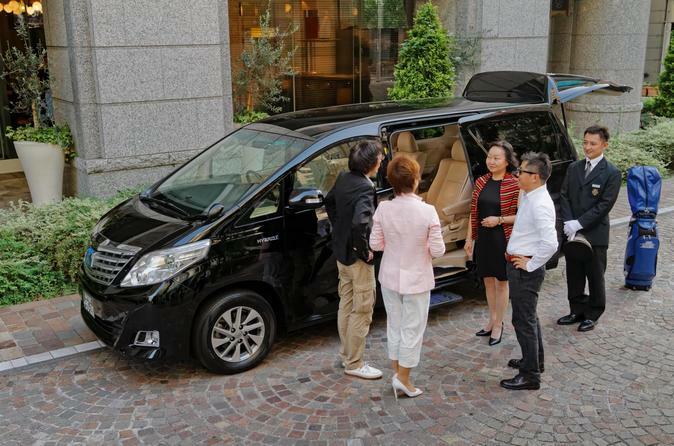 A private wi-fi equipped vehicle and English speaking driver (Chinese also available) gives you the freedom to visit whatever you like from historical monuments and temples, beautiful parks and gardens to incredible skyscrapers within Tokyo's. Prior to 1868, Tokyo was known as Edo, Japan’s political center where Tokugawa Ieyasu established his feudal government. In the year of 1868, with the Meiji Restoration, the Emperor moved here and Tokyo has been the capital of Japan since then. There are a variety of well-preserved historical and artistic architectures such as the Tokyo National Museum, Tokyo Imperial Palace and Asakusa. Tokyo also offers a seemingly unlimited choice of shopping, entertainment and culture as well as a number of attractive green spaces for visitors to explore. Once you spend a day in Tokyo, you will note the city's contrast between the old and new which yet somehow complements each other nicely. This is just one of a myriad of factors which makes Tokyo such a fascinating place to visit. The tour begins with a pick up at your preferred destination and time within Tokyo's 23 wards between 8:00~14:00 (if you do not select a time, the tour begins at 9:00.) You will have 5, 8 or 10 hours to explore Tokyo before the driver drops you off at your selected location withing Tokyo city.